The mission of Natural DNA Solutions (NDS) is to utilize your DNA information to provide you with practical natural health strategies for preventing and treating chronic disease. We want to nurture your nature by providing genetic health reports and treatments. A number of companies, most notably 23andme.com and Ancestry.com, offer genetic testing. It can be done for as little as $50. This ability to read your genome at an affordable price is revolutionizing medicine. It's the biggest advance since the discovery of bacteria and infections. Knowing your genes is important because you have control over how your genetic code is played out in the real world. Genes are your given, your Nature, while how you treat your genes is your Nurture. Your health is 50% nature (DNA) and 50% nurture (nutrition and toxic exposure). The problem is that there are few health professionals who have been trained to interpret and turn your genetic reading into healing actions. Your NDS report turns your raw DNA data into valuable health information. A readout of your most important health-related genetic factors. The function of the genes. The health conditions associated with your gene variations. A written summary of your most important genetic factors. What do you learn from DNA? Knowing your DNA message gives you a framework for making more specific decisions about your health. Yes we'd all feel better if we ate a "balanced meals", but we all have a unique balance. You may have a defect in the gene controlling your vitamin A utilization, while your spouse may have a genetic problem with another nutrient, such as choline. Likewise with B-12, folate, methionine and other important nutrients: There are major pathways and functions such as methylation and mitochondria that impact our energy and have unique needs in each individual We all have our own unique fulcrum; the point that keeps us in balance.This paring of genes and nutrition is known as nutragenomics. Genes control our ability to break down and eliminate toxins (either internal ones such as digestive components or external environmental toxins such as lead). Yes, we should all avoid toxins, but that is impossible as proven by the multitude of scientific studies showing that everyone tested harbors toxic chemicals and metals. Knowing your personal DNA analysis enables you to can take specific nutrients that support your detoxification processes. On medications? Detoxification genes control the breakdown of drugs and therefor the likelihood of experiencing side effects. Hormones production and breakdown are under the direction of DNA-controlled enzymes. If your DNA isn't making healthy enzymes, your production and elimination of hormones falls out of balance. Thyroid, estrogen, testosterone, and stress hormones all depend on healthy genes. Told you have the BRCA gene? That's only one small piece of a much more complex picture that having a DNA interpretation can provide. Mood, memory, sleep, and other nervous system functions are all the result of DNA-controlled enzymes. You can influence brain activity by nurturing weak enzymes. Turning on the “good” and turning off the “bad” genes can literally make someone into a new person. Find out how to control your neurotransmitters so you are no longer at the mercy of mood swings. The list goes on. Everything that happens in your body has its genesis in your DNA and is influenced by how you nurture your life. Medical genetic testing and interpretation provides a personalized genetic report for maximizing your health. Go to the Purchase page to see the steps for purchasing a test kit and NDS report. Why consider DNA testing? See the Who Should Test DNA? Want to know more about NDS? See the Who is NDS page. 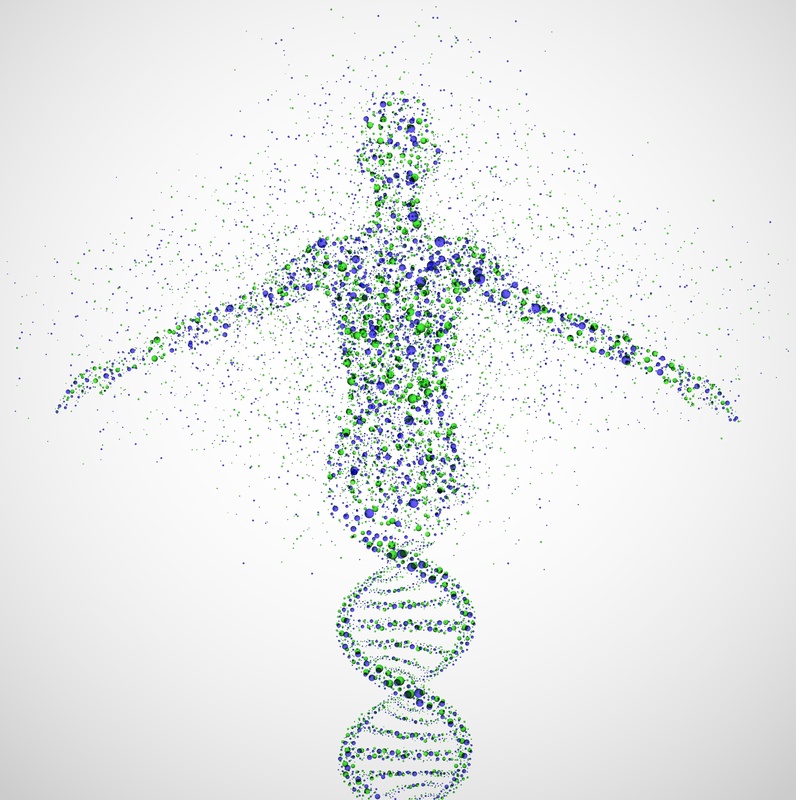 NDS is the only company offering comprehensive DNA analysis with genetic interpretation. If you are a health provider or were referred here by a health provider, go to the Health Providers page. Natural DNA Solutions is the only company offering genetic health reports and treatments for nurturing your genetic nature.